Indians fans, it may be time to get ready to start preparing a long goodbye for Francisco Lindor. Unbelievable. With players like Mike Trout and Bryce Harper getting handed monstrous contracts by teams, it's only a matter of time until Lindor, one of the superstars of the younger generation of MLB players, gets his own payday. However, according to Cleveland's owner Paul Dolan, it doesn't seem like the franchise is set to give out a huge contract to any player, meaning Lindor very well may be suiting up for a different club in the near future. When asked what fans nervous about Lindor's next step should do, all Dolan could muster was, "Enjoy him"? And you want to sell more tickets? Lindor has been absolutely brilliant with Cleveland ever since his first games with the team in 2015. With a career WAR of 23.85, there's no denying that the shortstop is one of the brightest stars in the game right now. 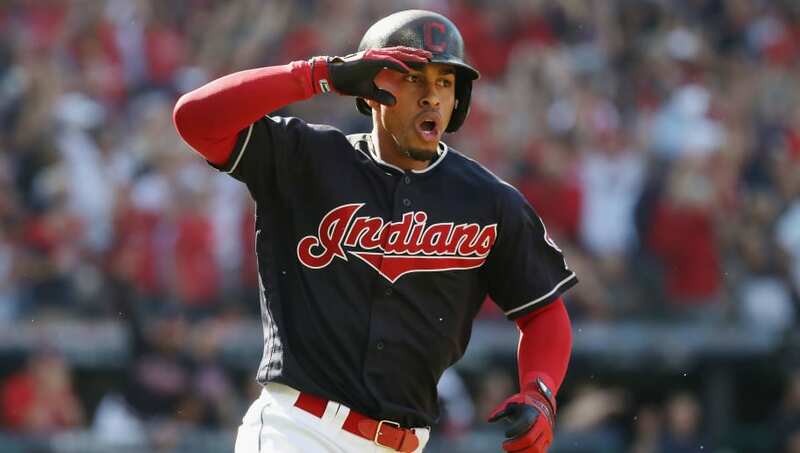 However, it seems Lindor's star has burned too bright for the Indians to maintain their singular leader. There's no doubting it--letting him walk would single-handedly close their contention window, no matter what other upgrades took place. While Lindor's contract with Cleveland runs through 2021, three years is still not enough, especially when it comes to a player as gifted as this one. To have such a great player and to lose them because of predisposed financial limits is heartbreaking, but unless the Indians change their overall stance as a franchise, look for the free agency chase for Lindor to become one of the biggest ever, a grand pursuit for a player deserving of a huge contract.